With our daily skincare routines growing more complex. Have you taken the time to consider what you are putting in your body is just as important to your skins appearance as what you are putting on it? Skin. It is our biggest organ. It lives, breathes and protects us every day. But do we know how to protect it? Todays lifestyles aren’t the most optimal for caring for our skin. Dermatologists believe that up to 90% of skin ageing is caused by external factors. It battles with daily aggressors such as pollution, UV light, stress, smoking and alcohol that attack our skincells in a process called oxidation. All of which accelerate the ageing process. I like to take extra steps to nourishing the deepest layers of my skin where the ageing process begins. This is why I have been trialling Imedeen Derma One for the last three months. 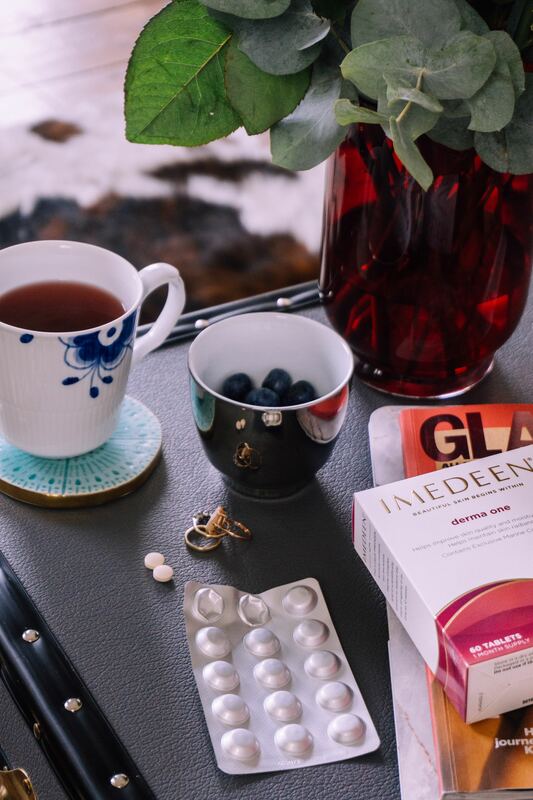 Supplements have always played a big role in my beauty routine. If we are not providing our body with what it needs to repair itself – how can we expect our skin to repair from the daily challenges we put it through? As I write this post, I have just turned the ripe old age of 31 (trust me, I don’t know how that happened either). This is the prime age group for when the skin’s cell-renewal system starts to slow down and natural collagen production decreases. With age, I have noticed many changes in my skin. Dehydration, increase in oil production, fine lines and a loss of plumpness. This is why I was extremely interested to trial Imedeen Derma One. A skincare supplement specifically targeted at the 25+ age group. 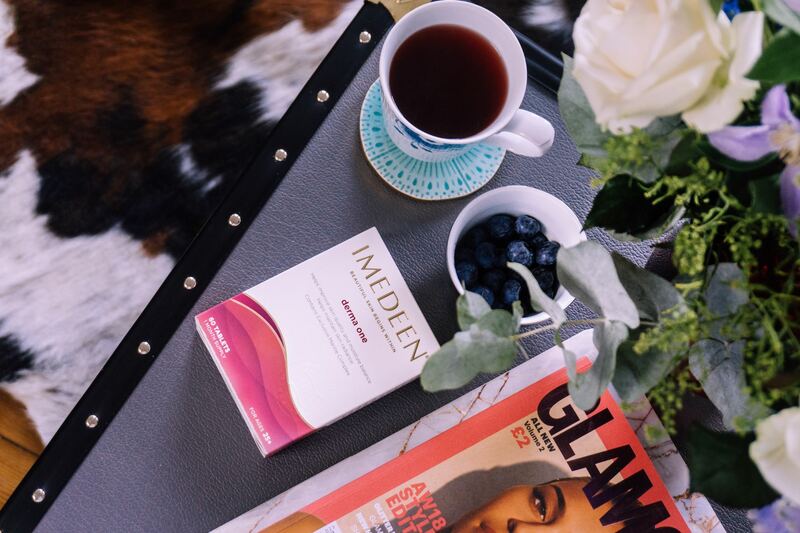 Imedeen are pioneers in the ‘beauty from within’ industry, with products backed by science and proven by results. Their Derma One tablets are formulated to support the deepest layers of your skin, where your surface skincare doesn’t reach. 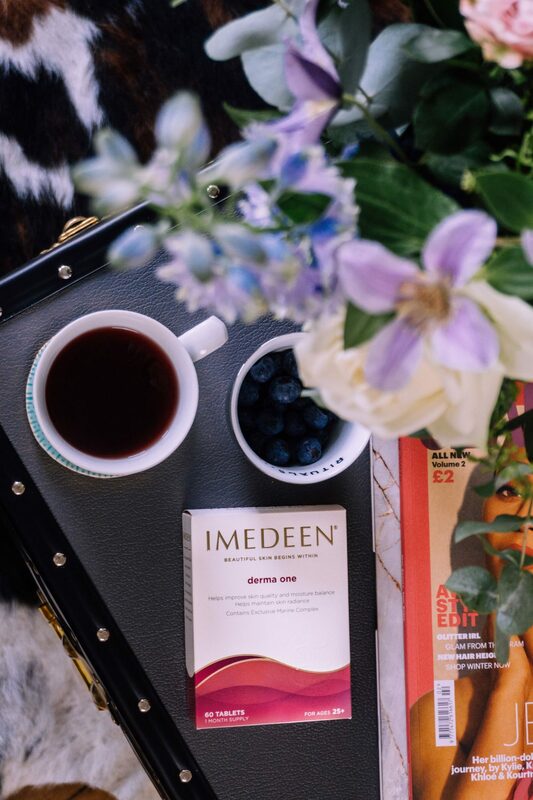 Imedeen is the world’s number one most studied skincare supplement. Derma One clinical-study results have shown significant improvements in the appearance of photo-damaged skin. Particularly radiant complexion, wrinkling around the eye area, skin hydration and pigmentation. (If you want to read the science and results, you can do so here). A skincare supplement delivering everything you need for radiant skin. Suitable for the 25-40+ age group. Visibly helps to improve skin quality, moisture balance and maintain radiance. It it not suitable for vegetarians/vegans. Marine Complex – Imedeen’s signature Marine Complex is the ingredient that remains at the heart of the Imedeen brand. It is scientifically proven to reduce the signs of ageing in 12 weeks. Boosts hydration, delays the skin’s ageing process, regulates oil production. Vitamin C – protects cells from oxidative stress and supports collagen formation for the normal function of the skin. Helps to prevent and treat UV damage. Zinc – aids in healing the skin. Zinc promotes a healthy immune system and the healing of tissues. It is also an antioxidant which helps to fight and prevent the formation of free radicals. 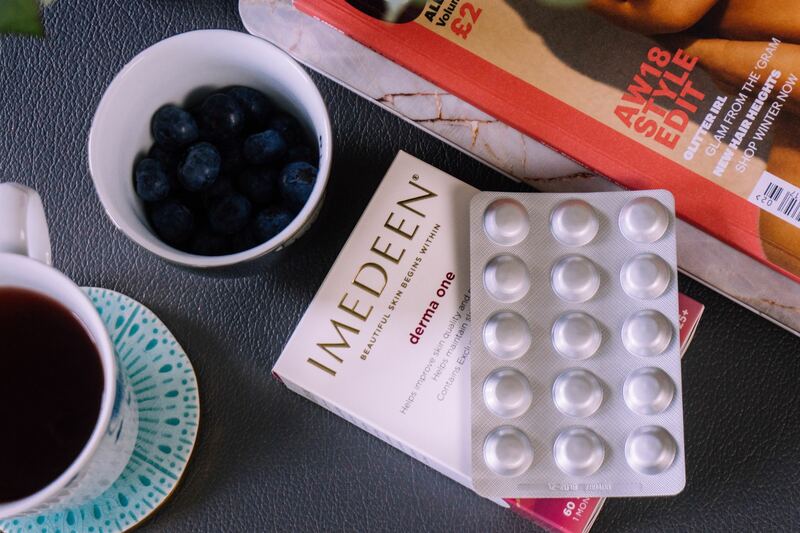 All over smoother, softer, more radiant looking skin in as little as 90 days when you add Derma One Skincare tablets to your regular beauty routine. Best tried as a 90 day trial to achieve maximum results. 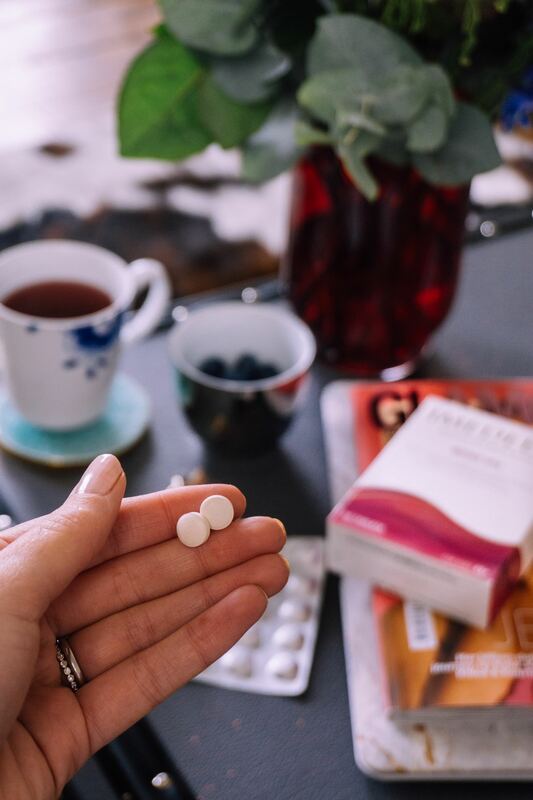 I take two tablets every morning with a glass of water or herbal tea and breakfast. My skin regulated itself much better; less oil production and less ‘oh dear’ when I looked in the mirror in the morning. Compliments – yes compliments! 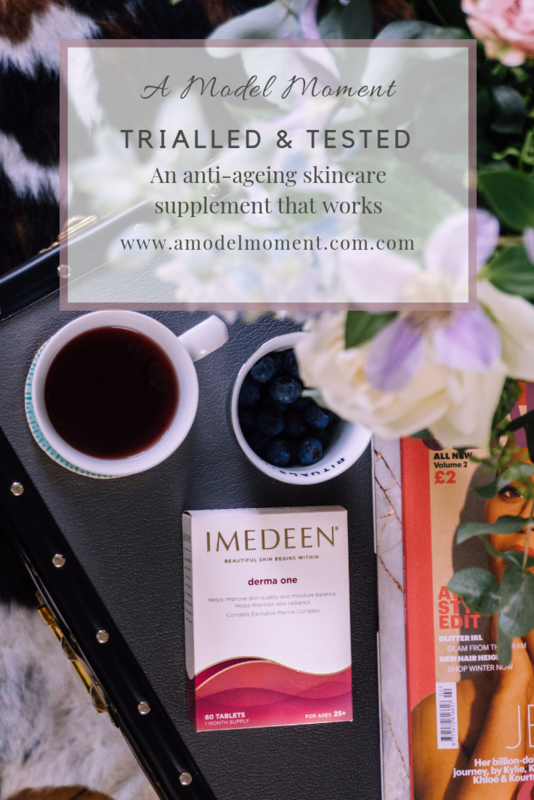 I had good skin at the start of this 90 day trial, so the fact that people paid compliments because they noticed a change in my already good skin – well I have to say that is a winner. Nails & Hair – as a side effect, both my nails and hair became stronger. My nails didn’t break/split as much and I noticed much more baby hairs growing in than I would normally. Imedeen Derma One is available from Boots priced at £36.99 for a two month supply. Derma One in currently included in a 3 for 2 offer if you want to stock up! A big thank you to Imedeen for sponsoring this post and giving me the opportunity to trial Derma One. All opinions are my own from my personal experience.